A matinee performance about how London is being watched. 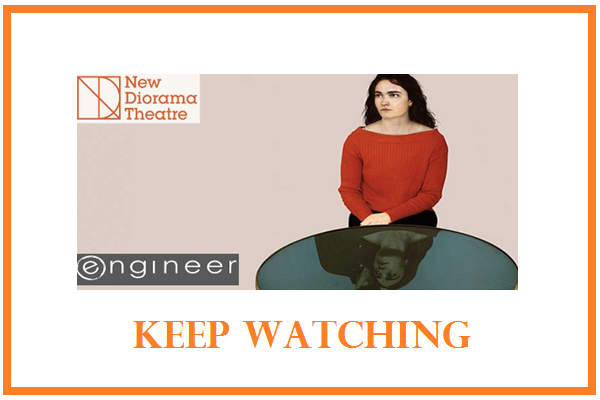 Engineer Theatre Collective are putting on a free matinee performance of Keep Watching for local pensioners, carers and guests. 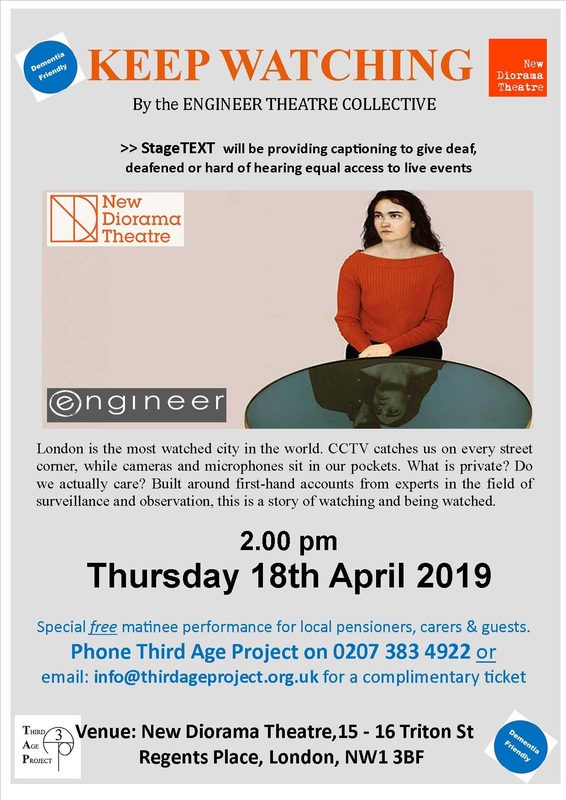 StageTEXT will be providing captioning to give deaf, deafened or hard of hearing equal access to live events. Taking place on Thursday 18th April at 2pm. Venue - New Diorama Theatre, 15-16 Triton Street, Regents Place, London, NW1 3BF.